With summer drawing to a close, many garden enthusiasts like myself will be preparing to collect seeds from perenials and hardy annuals ready to pot up for next season. As the autumnal weather starts to set in, protecting those plants and seedlings will take centre stage as the temperature gauge begins to drop. Bringing plants indoors will certainly help keep the effects of any cold snaps at bay, but this isn’t always foolproof. 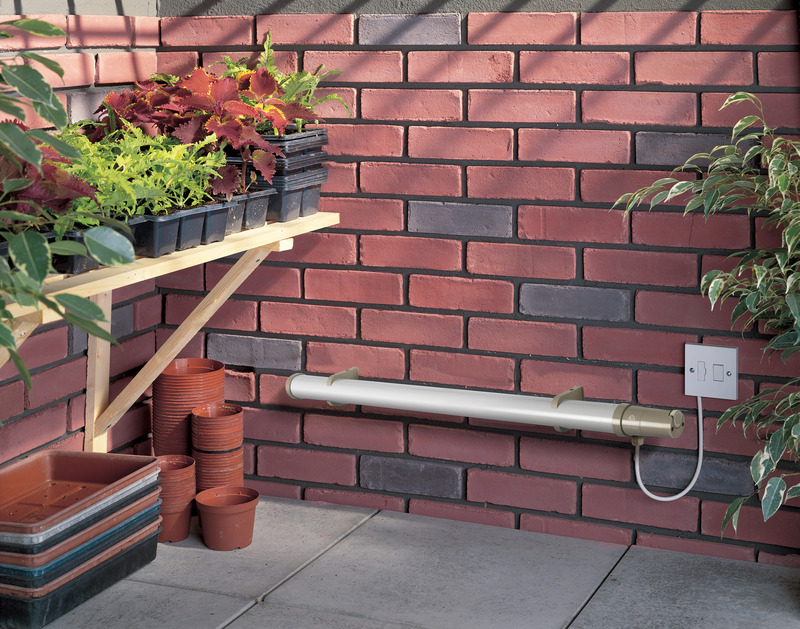 A smart addition in any gardener’s arsenal is a greenhouse heater, such as a Cold Watcher or tubular heater, to help get your plants through the harsh winter months. Cold Watchers are compact, durable heaters purpose designed for reliable frost protection. They’re suitable for a wide range of applications, including potting sheds, greenhouses and conservatories. Dimplex’s Cold Watcher is available in two models – 500W and 1000W – and can be wall mounted either vertically or horizontally, or freestanding as required. It has a long-lasting steel construction and is splash-proof, so safe to use in areas such as greenhouses. The energy saving thermostatic control ensures low running costs, and it has been professionaly tested against the British Standard for frost protection, so you can rest assured your plants will be kept safe from Jack Frost’s icy fingers! Alternatively, a tubular heater is a simple appliance that offers a low level of background heat. Dimplex’s ECOT tubular heaters come in a range of six sizes/ outputs from one foot up to six foot long. They can be wall mounted and have a thermostatically-controlled frost protection setting for complete peace of mind. If you use a Dimplex heater this winter, let us know how you get on!